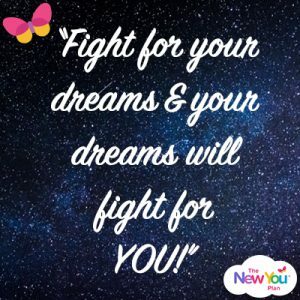 Here, New You Plan Founder Julz shares her first week TFR diet tips to ensure you wake up with determination and go to bed with satisfaction! On days 3 to 5 you will probably reach a point that will be make or break it for you. Fight for your future self. Fight for a slimmer you. Fight for a more confident you. Fight for a more energised you. Fight for a happier you! At the other side of this week, if you stay 100% you will feel so empowered. So proud. So excited. So much slimmer and healthier. 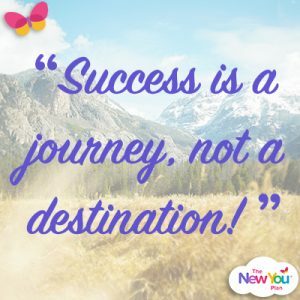 This journey gets easier and easier as the days and weeks go by. Yes, there will always be hard days. But that is life! But overall the easier days will become more and more. QUESTION? – What are all the things you are not doing now because of your weight? When you feel you can’t do it. 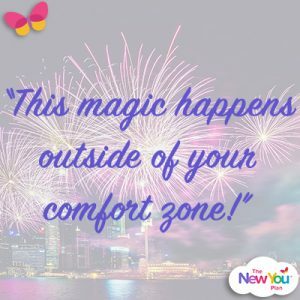 At the other side of your discomfort and fear lies all your dreams and a healthier happier new you. A life of just ease – will cause you disease. Don’t get trapped in old habits and ways of thinking. Looking forward to EVERYONE reporting back tonight that you had a great day and stayed 100%. P.S. You read it a lot but don’t forget your water!! Drink 500mls every hour. This will boost your metabolism by 30% for 60 mins. It will help you to flush out the fat and toxins, fight off hunger, feel energised and well, get rid of any bloating, help your skin and so much more!! Drink 1 large glass of water every hour today! X. A good plan means you will increase your chances of sticking to plan and you won’t feel hungry! Try to get at least a 30 minute walk in today. Good to clear your head and move your body. Go to a place of natural beauty if you can!